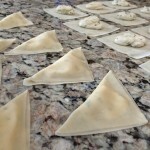 I tend to go in streaks of serving Wontons, which are made by placing a small amount of filling in the center of a square wrapper (a dough skin made of flour, egg, water, and salt) and sealing it into the desired shape by compressing the wrapper’s edges together with fingers. 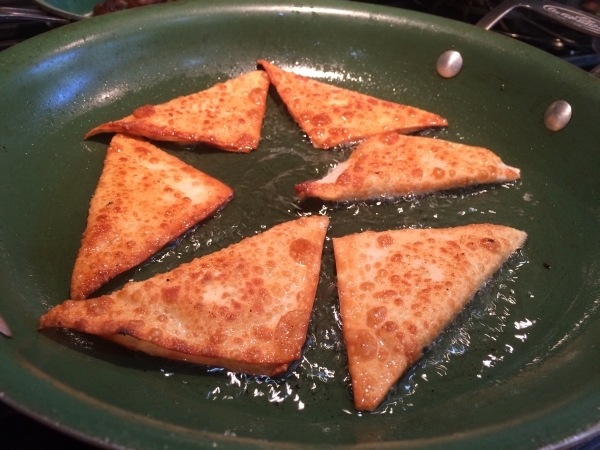 Super simple and delicious when filled with a combination of ingredients that you have on hand! Since chive are in season, I’m using them a lot! 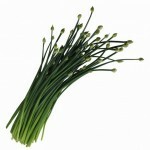 The chives is the common name of “Allium schoenoprasum”. It, like most of the other species, is edible. It is a perennial plant, that is widespread in nature across much of Europe, Asia and North America. Similar in flavor to green onion or scallions, (more on the difference below) the chive plant stays pretty tiny yet has a strong, pungent flavor that is good as a seasoning in smaller quantities. 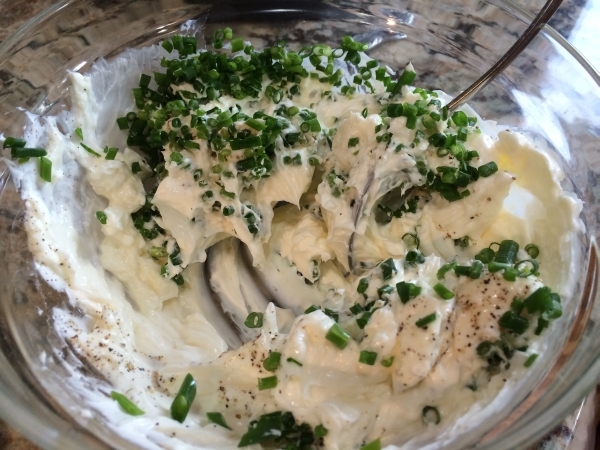 The chives combined with some cream cheese, along with a couple other ingredients – you’ve got yourself some simple, but tasty little appetizers! 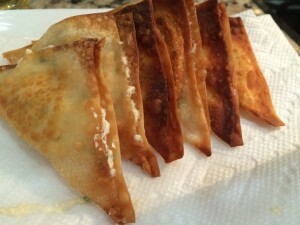 I served these on two different occasions recently. 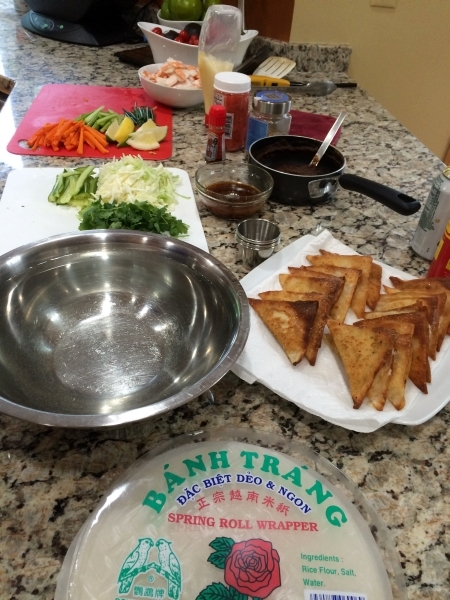 First with a stir fry and then along side of some fresh spring rolls! 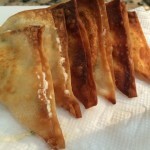 I like them folded flat rather than one big ball of cream cheese like you might get at a take out Chinese food place. 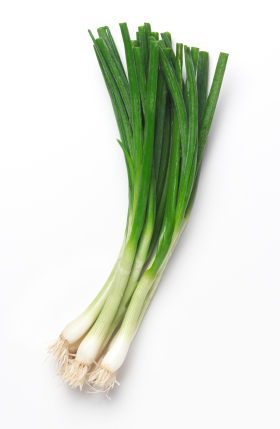 Chives are an herb, while scallions/green onions are actually immature common yellow, red, and white onions, harvested before the bulb begins to form. 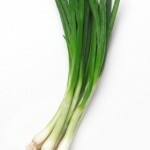 You could use either, but scallions are more pungent; so use less. Soften the cream cheese and mix with the other ingredients. 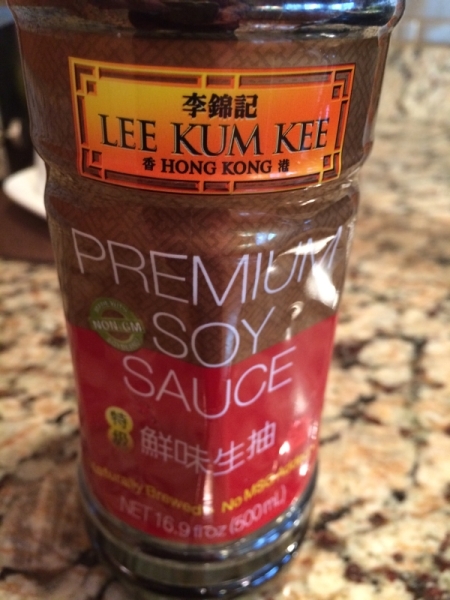 I really like the flavor of this LEE KUM KEE Premium Soy Sauce. 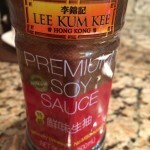 Made with premium soybeans and wheat flour, you’ll love the distinctly rich flavor of this delicious soy sauce. 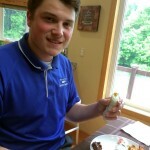 I find it is a bit thicker and less salty, with a rich flavor that is superior to other store brands. 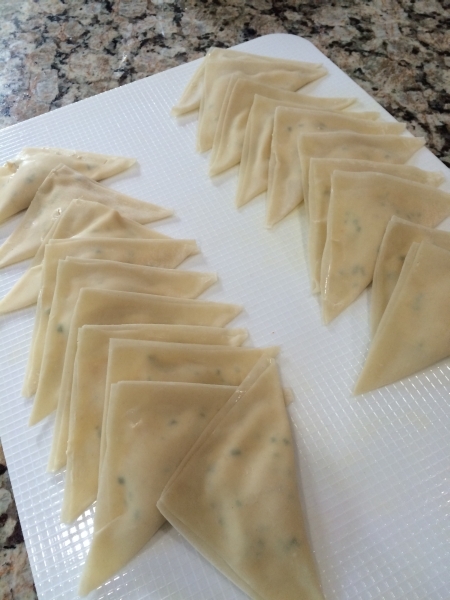 Lay out a couple of rows of skins and using a heavy zip lock bag with the corner cut, place the cream cheese mixture inside and squeeze about a tablespoon of filling onto each wrapper. 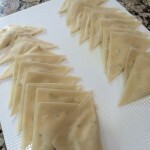 Dip your finger into a small amount of water and spread over two of the edges. 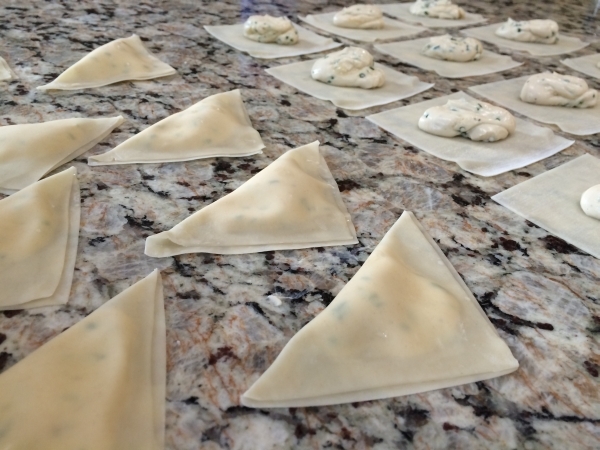 Then fold over the wrap, gently smoothing the filling and sealing the edges. Set aside until all are complete. 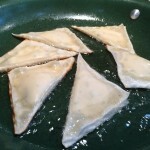 I choose to pan fry in shallow Sunflower Oil, which is pressed from sunflower seeds. It is light, odorless and is mild in flavor. It supplies more Vitamin E than any other vegetable oils. A combination of monounsaturated and polyunsaturated fats with low saturated fat levels, this oil supplies Vitamin E, is low in saturated fat and contains both polyunsaturated and monounsaturated fats. High oleic sunflower oil is high in monounsaturated fats and is defined as 80 percent oleic acid. Refined high oleic sunflower oil has a smoke point of 450 degrees. Linoleic sunflower oil is high in the polyunsaturated fat linoleic acid, an omega-6 fatty acid. The stability and high smoke point of high oleic sunflower oil makes it a good frying oil. 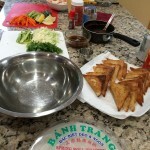 The versatility of this healthy oil is recognized by cooks internationally. 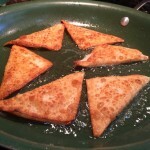 Heat a shallow layer of oil in a skillet over medium high heat. 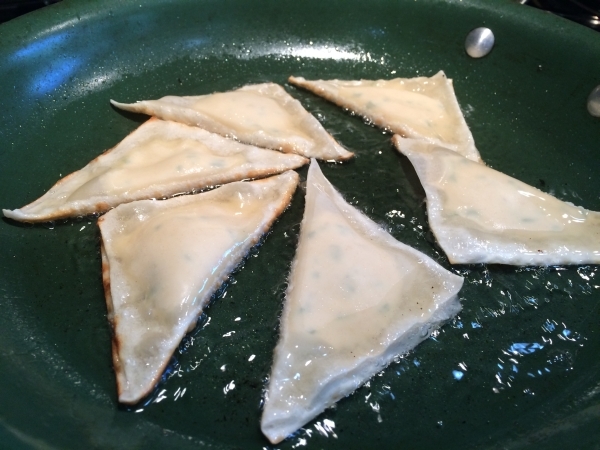 Stay close by and fry the won tons until golden brown on each side; just a minute or two on each side. Set aside to drain any access oil on paper towels. 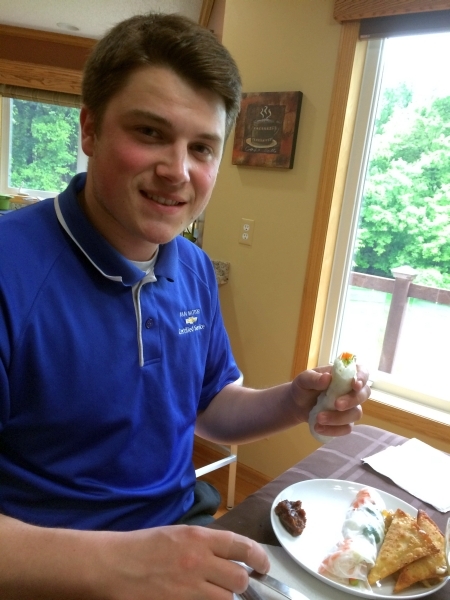 My son Andrew and I enjoy making spring rolls together, and these were a perfect addition to our meal!